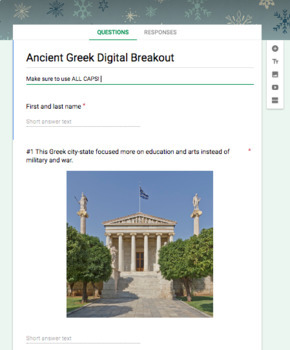 This is the perfect breakout to use for a review of ancient Greece. 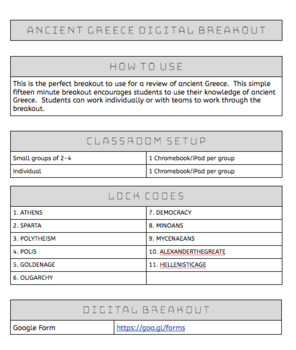 This simple fifteen minute breakout encourages students to use their knowledge of ancient Greece. Students can work individually or with teams to work through the breakout.